We source the finest ingredients and products from around the world and bring them to your table. Fuelled by a passion for trendy food, globalEat is an agent and distributor for a variety of products from around the globe. We bring the best possible flavours from a wide reach of countries to the European retail market and restaurants, ensuring the best presentation of products be it on shelf or a plate. Providing a tailored, personal service to bring brands to the forefront of the market, globalEat works side by side with suppliers through branding, promotion and exhibitions to ensure the very best service in establishing your unique flavour. We are passionately dedicated to: Expanding our selection of global products, with local ingredients. Building strong, long-lasting relationships with our suppliers. globalEat is a company driven by its love for food, a love we hope to share. A unique variety, bringing together Asian and Western flavours such as Coconut with Kaffir Lime, Guinness and Gula Melaka. Bringing nostalgia to innovation. Introducing a blend of classic and innovative flavours that are assured to delight. A brand of ice cream focused on flavour over novelty, dedicated to serving little scoops of love. We have partnered with Roskilly’s, a beloved Cornish dairy producer to make our ice cream using delicious milk from their herd of Jersey cows. Our unique approach means we are able to create a delicious meeting point between rich dairy and exciting flavours and textures from around Asia and the world. Deliciously crunchy golden kernels of corn are rather unique and more than just a snack. Grown only in the Sacred Valley between Cusco and Machu Picchu. They are delicious in salads and soups as an alternative to croutons. A Mix of Giant Corn, Smaller Corn (cancha) and sweet plantains from the Amazon tossed in Andes pink salt. Giant Corn tossed in our signature flavour, yellow chilli & quinoa. Hand harvested mineral rich salt from the village Maras. Water trickles up from an accent ocean long covered by the Andes and flows into little pools. Villagers manage the flow of water and when each pool is sufficiently full, it is allow to evaporate, leaving behind our delicately sweet salt. The pink salt also available in a Gift Pack, not only tastes good, looks good too. 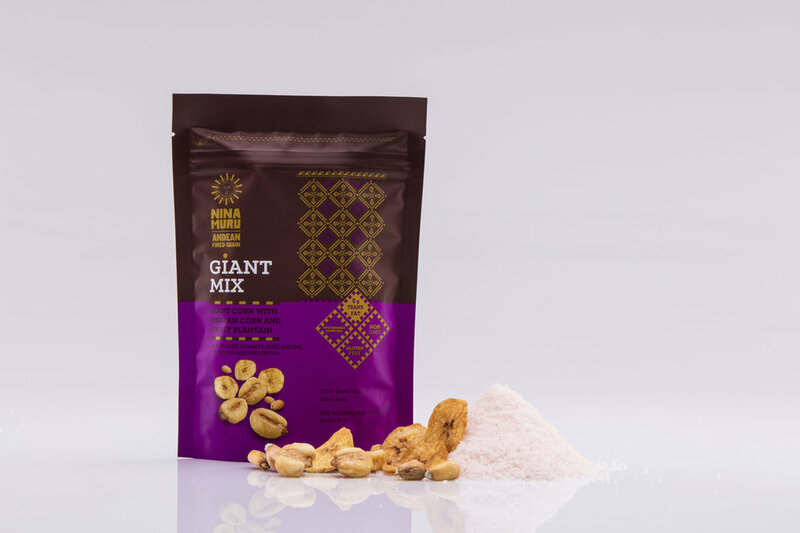 We blend pink salt with classic herbs from Peru "muna", "chincho", and "hierba buena". Chincho is also know as black mint and adds a unique flavour dimension to fish, stews, soups and sauces. We just love using this salt to decorate the rim of margarita glass. Fresh milk, free range egg yolk with no preservatives, added flavouring or colouring. Fresh milk, free range egg yolk with no preservatives, added flavouring or colouring. 70% Chocolate. Fresh milk, free range egg yolk with no preservatives, added flavouring or colouring. Berry fruits. Fresh milk, free range egg yolk with no preservatives, added flavouring or colouring. Passion fruit. Fresh milk, free range egg yolk with no preservatives, added flavouring or colouring. Green tea powder.